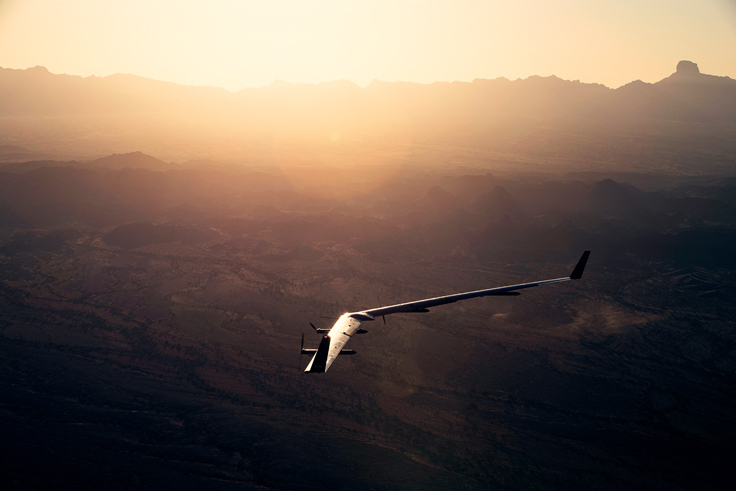 Facebook has completed the second step of its claimed quest to democratise the internet, with a second successful test of its drone designed to deliver connectivity to the world’s most remote places. The mission here is simple; deliver the internet to people who don’t have it. 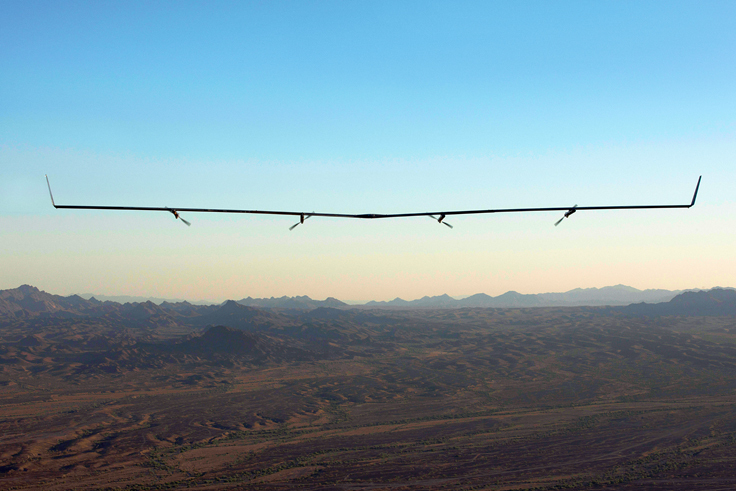 Facebook claims there are 1.6 billion people living in regions which don’t have access to a mobile broadband network, and connecting these individuals through traditional means is an almost impossibly expensive task. Aquila is quite a novel and quirky way to do it. The second test was deemed a success, having flown for 1 hour and 46 minutes (the first test lasted 90 minutes) and landed with minimal damage. These are critical measurements for the team, as for the scheme to be economically viable, human interaction must be kept to a minimum. The aircraft must fly for as long as possible, and require as little maintenance as possible. It is incredibly power efficient. The aircraft is powered by solar panels on the wings, and runs on the power equivalent to three ‘blow’ dryers (which we assume means hairdryers). Aquila flew on less than 2,000 W of power during its first flight. One of the big challenges faced by the team is getting enough sun! At its night-time altitude of 60,000 feet, Aquila will require approximately 5,000 W of power, but this maybe more during the longer winter nights. Solar panel efficiency is a massive challenge. It’s very slow, moving only 10-15 mph when flying upwind. This is essentially because it is meant to stay in the same area for long periods of time to supply internet access. Aquila is designed to stay aloft for 60 to 90 days and doesn’t have traditional landing gear. The aircraft lands on skids on the bottom of the motor pods, with simple foam bumpers to prevent the motors and propellers from digging in. It’s massive, but lightweight. 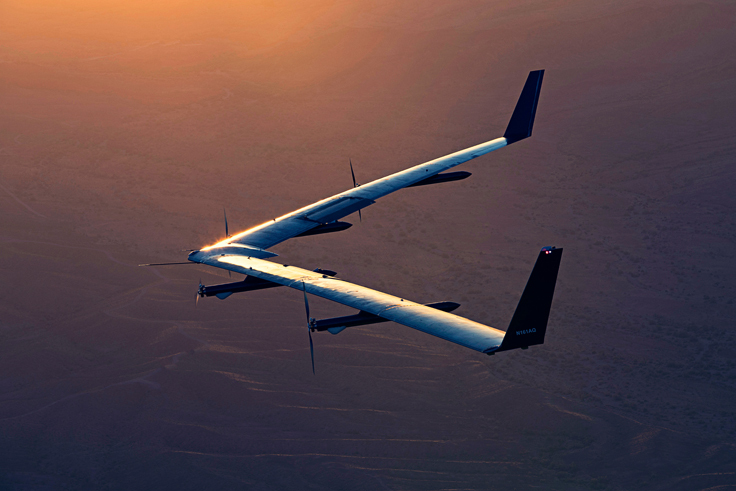 Aquila has a wingspan comparable to a commercial airliner’s but weighs only one-third as much as a car. It’s Latin for eagle and is also a taxonomic genus that includes the golden eagle species (Aquila chrysaetos). Lucius Pontius Aquila was also one of the assassins of Roman dictator Julius Caesar. Somewhat ominously one of the first military drones was the Lockheed MQM-105 Aquila. The challenges which the team are facing are many, large and unique. Because of a number of different demands which the team have set in place to make the idea economically viable, they are coming across challenges which have not been faced in the aerospace community before. Take for example the speed and weight of the aircraft. It is featherlight and moves incredible slowly to increase power efficiency, but has the same wingspan as a commercial airliner. Now a commercial airliner moves at more than 200 mph, while a normal glider can reach speeds of 50 mph, for Aquila, 20-25 mph is the top speed. Improving efficiency of the design is a difficult task because there is no precedent. Something this big, this light, this streamlined and this slow has not been seen before. There aren’t many lessons to be taken from the aerospace community, and the team are having to address these challenges on their own. It’s a strange one, but it must quite an exciting environment to be in. And while this seems all well and good, let’s not give the Facebook team to much credit. This simply isn’t a mission to bring cat videos to the world, there is also a notable financial incentive. In the western world the Facebook audience is starting to hit a glass ceiling. Most people you speak to have a Facebook account already, therefore the astronomical growth which the social media giant has experienced over recent years will gradually begin to slow. It’s part of the reason Facebook is pushing more into video, chatbots, services to small businesses and unified communications; it needs to find additional cash elsewhere. Another way to do that would be to figure out a way to bring cheap connectivity to the 1.6 billion people who don’t have it yet. There is potential for another 1.6 billion digits to add onto the advertising metrics there, so why not? So yes, Facebook is doing something good for the developing nations. But always remember that there is something to gain; billionaires are billionaires for a reason after all.